On Monday, July 24, 2017, the Orlando City Council approved the new flag design. Below is an archive of the new flag design contest and it’s various rounds of voting and community input. A flag is more than just a symbol, it is a source of civic pride that makes people feel more connected to their city. As the City of Orlando’s story continues to evolve, so does the need for a visual identity that is unique to Orlando. The contest is an opportunity for our community to create a new city flag together. We want a flag that flies proudly around the entire city and outside our homes. A flag that people can rally behind and businesses are proud to display. A new flag that is designed by the people for the people. All designs must be submitted via traditional mail or delivered to one of seven drop-off locations. Legal Disclaimer: Entries that do not follow the above guidelines will not be considered. All entries become property of the City of Orlando and the author/creator relinquishes all rights to the design and entries are subject to disclosure under Florida’s Public Records laws. 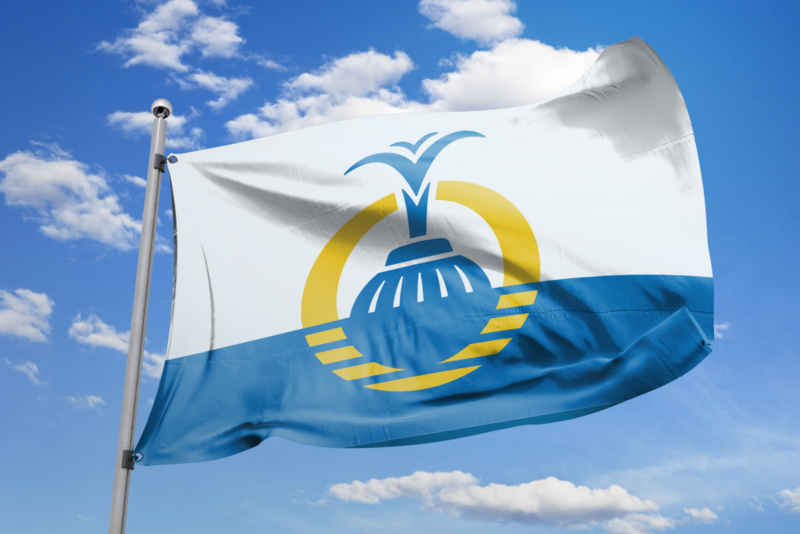 The Flag Design Committee reserves the right to alter, modify, or combine designs to create an official City of Orlando flag. Submissions by members of the Flag Design Review Committee will not be considered. Will my design become the flag if I win? The Orlando City Council will vote and formally adopt the design as the City flag. Will there be a monetary prize? The flag campaign will not provide a monetary prize to the winners of the contest. Do I have to be a resident of Orlando to submit? No. The Orlando Flag contest is open to anyone who would like to submit a design. Individuals can submit up to three different entries per person. Is there a cost to submit? No, there is no entry fee. How do I learn how to make a well-designed flag? Community resources such as art and design teachers are immensely valuable, as well as online Vexillology communities. Also click here to watch a TED Talk : Why City Flags Might be the Worst-Designed Thing You’ve Never Noticed. The Flag Design Committee’s Top Ten Choices were presented for public voting. Monday, May 8 – 8 a.m. – 2 p.m.
Tuesday, May 9 – 8 a.m. – 7 p.m.
Wednesday, May 10 – 8 a.m. – 5 p.m.
Thursday, May 11 – 8 a.m. – 5 p.m.
Friday, May 12 – 8 a.m. – 7 p.m.
Monday, May 15 – 8 a.m. – 7 p.m.
Tuesday, May 16 – 8 a.m. – 5 p.m.
Wednesday, May 17 – 8 a.m. – 7 p.m.
Thursday, May 18 – 8 a.m. – 5 p.m.
Friday, May 19 – 8 a.m. – 7 p.m.
Sunday, May 21 – 8 a.m. – 2 p.m.